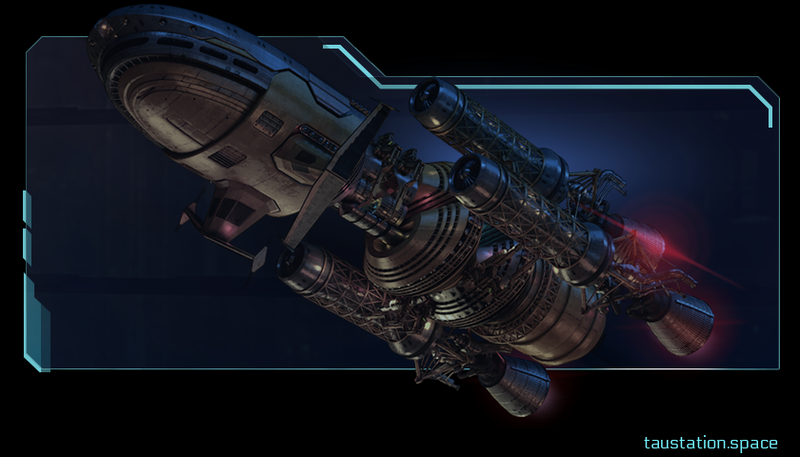 Spaceships are mostly remnants of Before, or cobbled together bits of old spaceship parts salvaged in the Ruins of the stations and from derelict ships found floating in outer space. These ships sold in Shipyards are rarely shiny and sleek, but they fly, and that’s what counts. 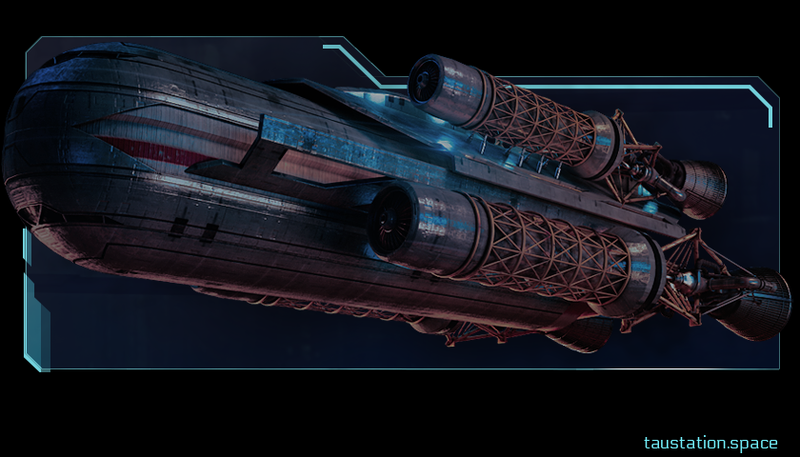 Whether to transport people and goods or to protect stations and other ships from outside attacks, spaceships are the backbone of travel and trade between stations and star systems. With your own ship, you no longer will have to wait for a local or interstellar shuttle. You go where you want, when you want. 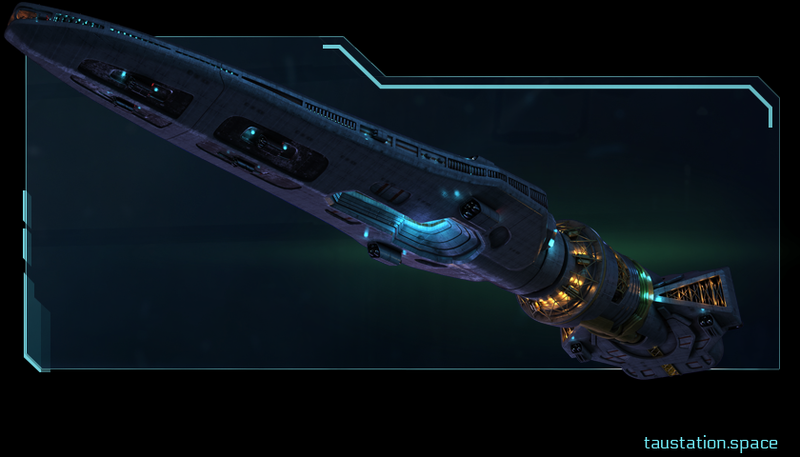 You can acquire spaceships at a station’s Shipyard. At the moment, the stations with Shipyards are Daedalus, København, and Yards of Gadani. 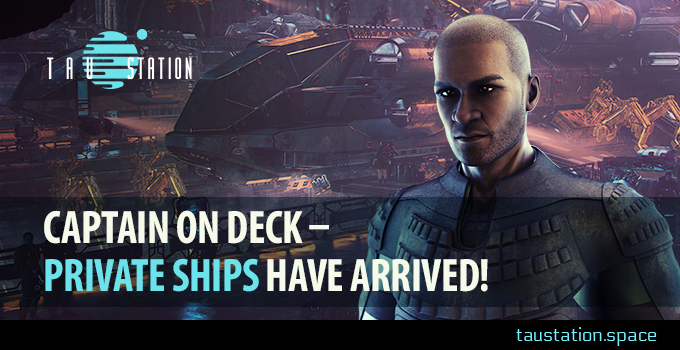 All are welcome as long as they have enough credits to buy the ship of their dreams – and the right skills to drive them. Navigating a ship requires professional skills you can learn by enrolling in the appropriate courses at Universities offering Spaceship Operations. The aspiring pilot will need “Space Navigation,” “Ship Technology,” and “Ship Handling,” all of which are available. The last step before legally owning a ship will be to chose an appropriate name for it. A great pilot should always carefully chose a meaningful name for their ship as it will represent them all over the galaxy. Once a ship leave the Shipyards it will be available in the Docks, waiting to be boarded. 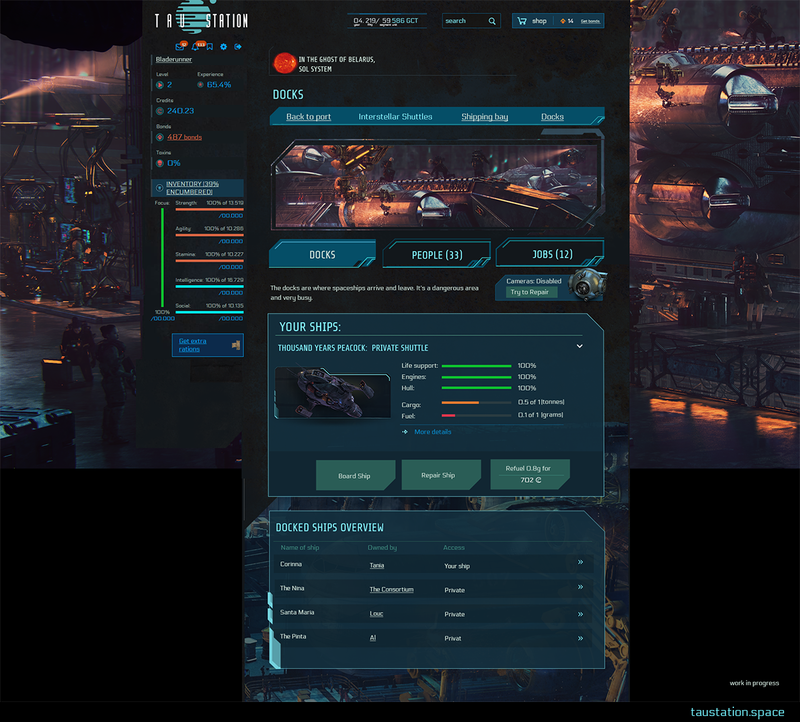 In fact, a single pilot can have multiple ships at their disposal. 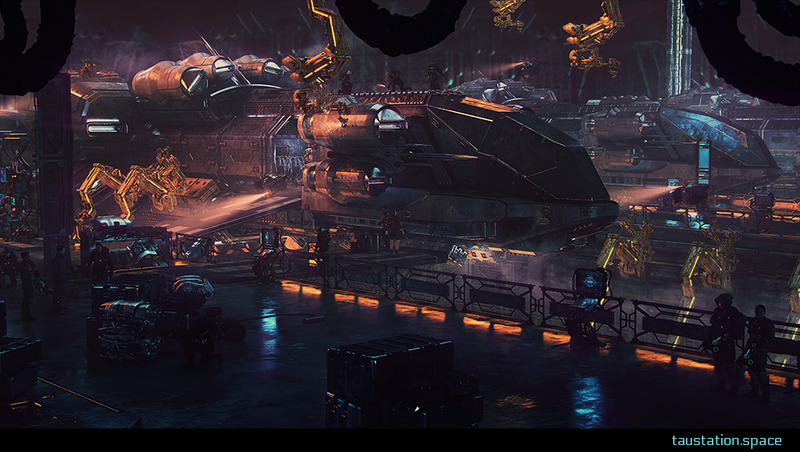 At the Docks, ship owners can see the status of the different vital parts of their ships, send them in for repairs or refueling, and get an overview of all the useful information they need to plan their next journey into the void. Antimatter drives are the means by which spaceships are able to glide among the stars, and as with any engine, they need to be refueled regularly in order to continue functioning. No one wants to run out of antimatter in the middle of space. That’s why every station with a Dock is also equipped with refueling equipment that will provide ship owners with all the antimatter they need—as long as they have the credits, of course. Replenishing the antimatter reserve of a spaceship is a slow and dangerous task, as antimatter is a very explosive substance. Once the refueling begins, it’s impossible to stop it and for safety reasons you will not be able to board your ship while refueling. Once everything’s sorted and planned, it’s time to take off and fly toward other stations or star systems! Travel works the same as for public shuttles, except that you don’t have to pay for your ticket and you can leave whenever you want. On the other hand, each type of ship has their own consumption rate of antimatter depending on their mass and acceleration. The same journey can cost a different amount of credits, depending on the quantity of antimatter required to do the trip. Having the liberty to leave at any point to any station or system has a certain price after all! Last but not least, ships are not unalterable. We mentioned repairing earlier, and indeed ships can be damaged by other ships or by stellar objects that wander through space. 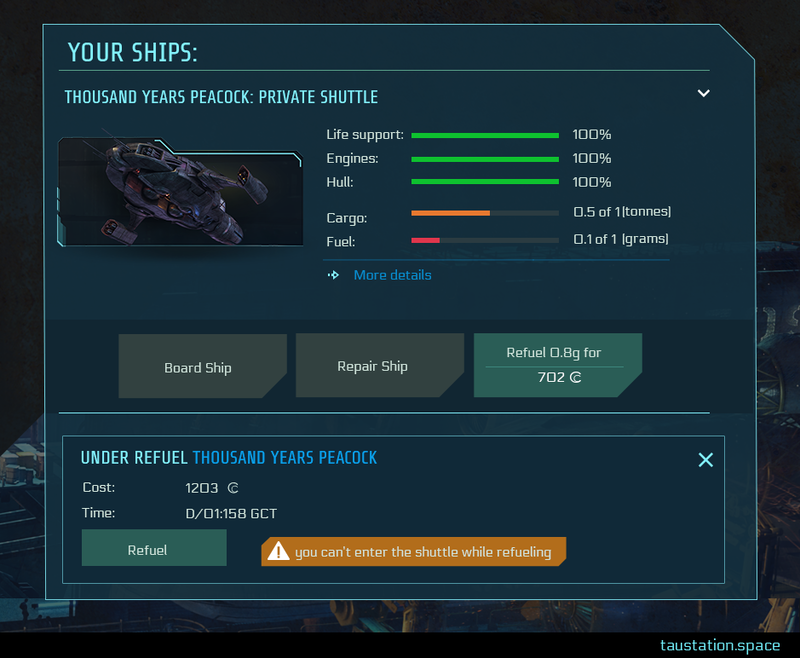 Sometimes, you will have to repair some or all parts of your ship if you don’t want it to crumble completely. This will of course cost money and time, and it works the same as the item repair feature. Related to this point, ships will take mileage into account. As a consequence, like for any vehicle, the general condition of ships deteriorate over time and therefore require maintenance once in a while. This also means that a ship with a high mileage will take more damage than one that is newer. Luckily, this is not irreversible, and it is possible to refurbish old vessels to restore the freshness of their youth. This operation is, however, considerably much longer and more costly than just repairing a ship, hence the vessels are unavailable while doing so. Repairing a ship is available at any docks, but refurbishing one needs to be handled by professionals in a Shipyard. 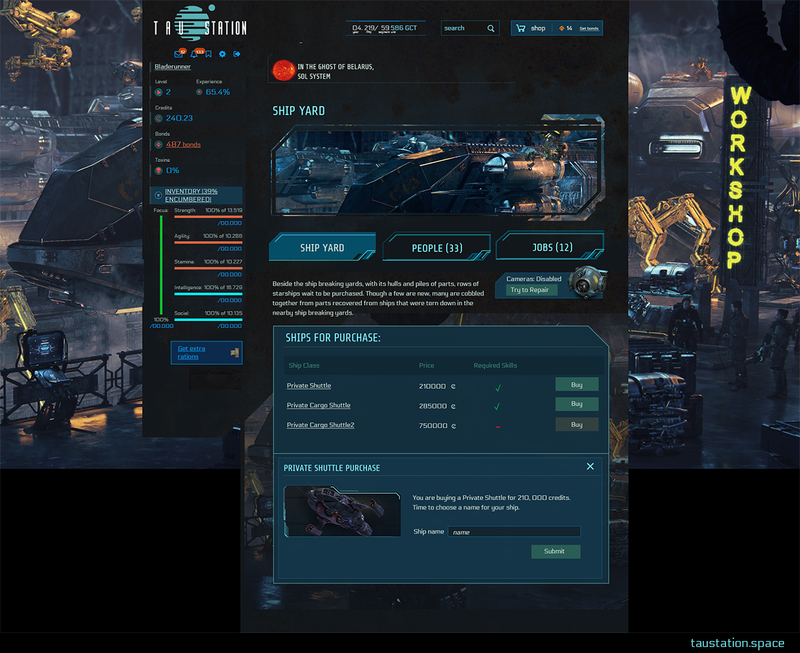 There are many different types of ships, each with their own purpose and specialties, which will become available over time. 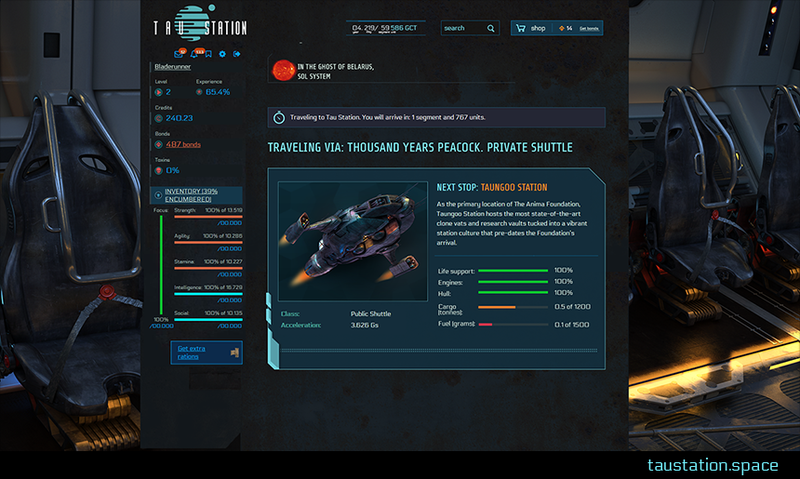 The Private Shuttle and Razorback mark the starting point, and are available for sale in Shipyards now. 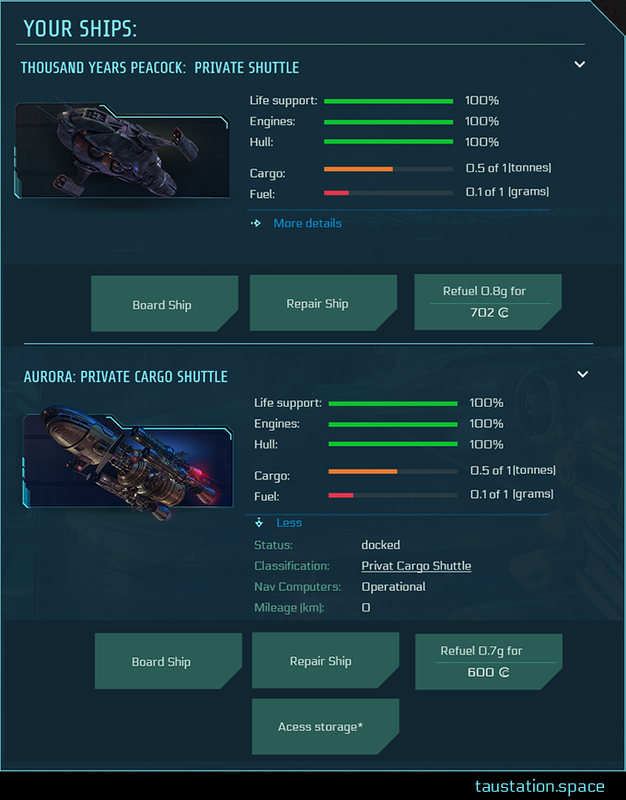 As a little snack in the meantime, here are the other vessels that you will be able to fly in the future. Enjoy the view! An inexpensive alternative to taking public shuttles between stations and star systems is buying a Private Shuttle. While they are generally slower than a public shuttle, they’re less expensive in the long run. The Razorback is known for being one of the fastest ships ever built. Pre-Catastrophe, ship racing was a popular sport and Razorbacks were said to be able to make the Earth/Mars run in 13 hours. 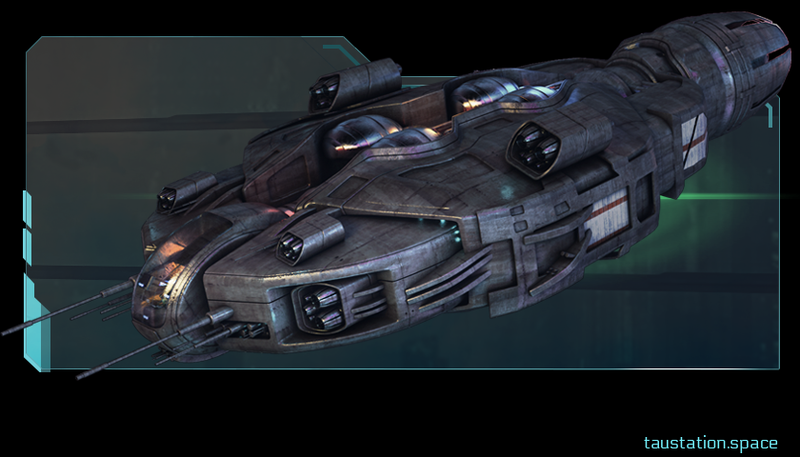 The Razorback holds no cargo and is expensive to operate, but for those with a need, or love, of speed, no other ship comes close. Bulk Carriers are slow, expensive, and consume plenty of fuel. However, they’re very dependable and can also haul plenty of cargo. If you want to go into business shipping mass quantities of commodities between star systems, the Bulk Carrier is a good choice. The Freighter is the workhorse of interstellar trade. It has a generous cargo capacity, reasonable speed, and moderate fuel consumption for a ship its size. 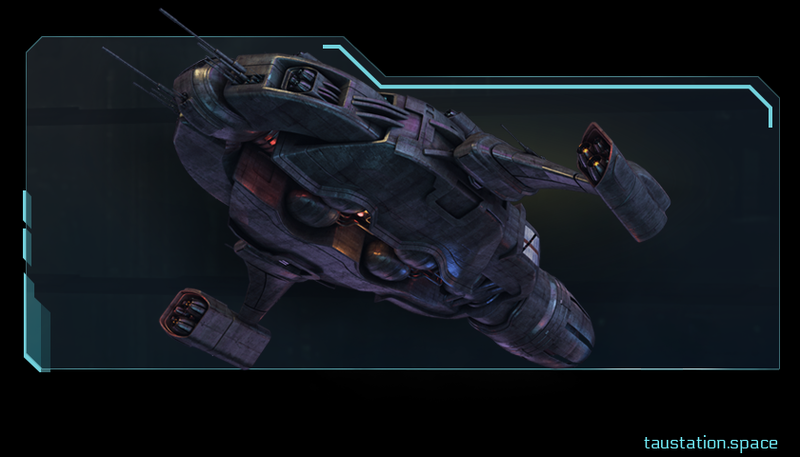 Similar to the Private Shuttle, the Private Cargo Shuttle has a much larger cargo bay, making it suitable for both personal transportation and small-scale trading. We hope that you’ve enjoyed this peek into what’s coming, and we’re looking forward to the adventures you’ll have in your new ships! Where will you go in your new spaceship? What will you call her? Who will you be, out among the stars?